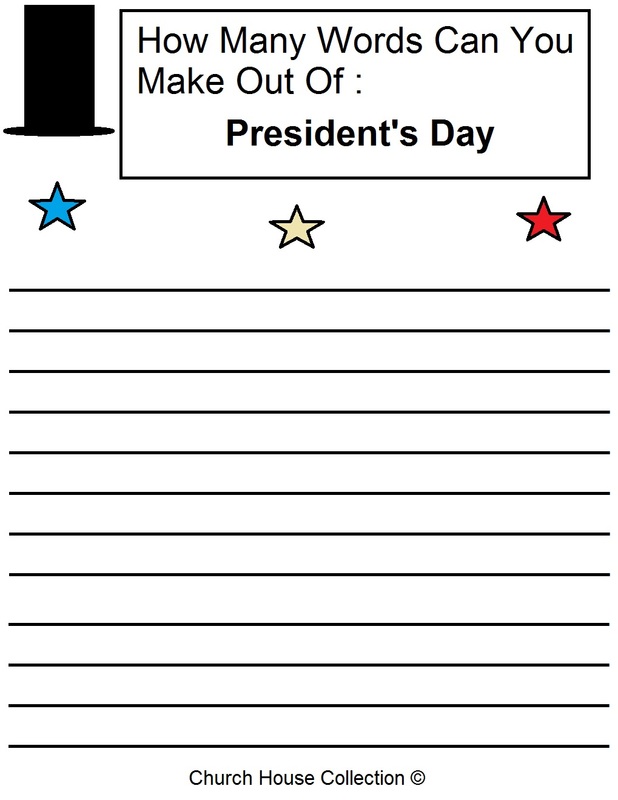 This is a worksheet on how many words can you make out of President's Day. Let the kids see who gets the most words. Give the child who gets the most words a sucker and rest of the kids a small sticker.